A growing number of professional athletes in sports are turning to Pilates to give them an edge over the competition. These include athletes in football, baseball, basketball, and soccer, as well as Olympic athletes. What is it about Pilates that these professional athletes are finding to be worthwhile? In this blog post from our Metrowest Pilates studio, we’ll talk about why these athletes turn to Pilates workouts. Check out the benefits that you, too, can enjoy from doing the same thing. Pilates workouts were designed in the 1920s by a man named Joseph Pilates, who originally named the method “Controlology.” It was conceived as a whole-body workout that goes far beyond simply strengthening the large muscles of your body. With Pilates, you’ll also strengthen your brain’s connection with all the micro muscles that might get overlooked in a typical workout. You’ll be challenged more than you might expect! Physically fit people still find the movements challenging when they do Pilates, meaning that you’ll always leave your session knowing that you’ve benefited your body. At the same time, Pilates is accessible to beginners! No matter what your current level of fitness, you should give Pilates a try. While other types of training (such as weight training) can build your total strength, they also tend to leave you with tight, stiff muscles that aren’t as flexible as you’d like them to be. Pilates helps you to develop strength while maintaining limber and flexible muscles, ligaments, and tendons. When you leave the workout, you’ll feel relaxed, calm, and loose. Great athletes love Pilates because this combination of strength and flexibility helps them to perform better on the field. Part of the benefit of being more flexible is that your overall chances of getting injured tend to go down. Pilates movements are also low-impact, helping you to reduce the likelihood of pain or of aggravating an old injury. In addition, Pilates focuses on training you to maintain correct postural alignment, reducing your chances of back pain and other movements that could create injury. You will probably be sore after a Pilates workout, but you shouldn’t be in pain. 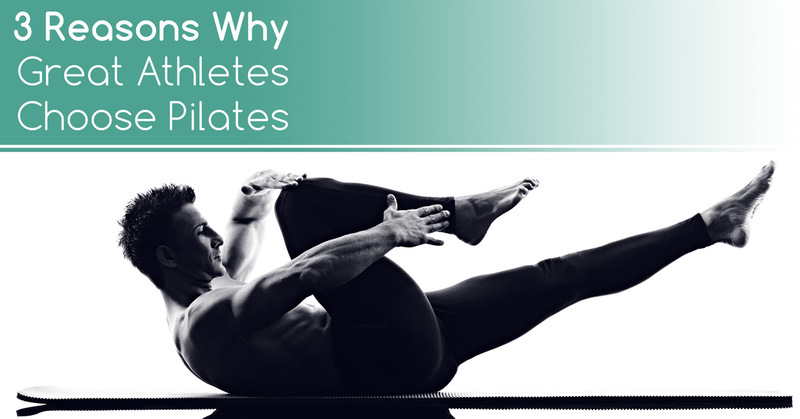 Pro athletes love the effect of Pilates because it acts as a preventive measure, it helps them bounce back quicker after a minor injury, and it promotes their career longevity. Forget about the misconception that Pilates is just for women. These athletes have used Pilates because it works for them. Try it out – it will work for you, too! Join us for a Pilates class at Every Body Balance today.